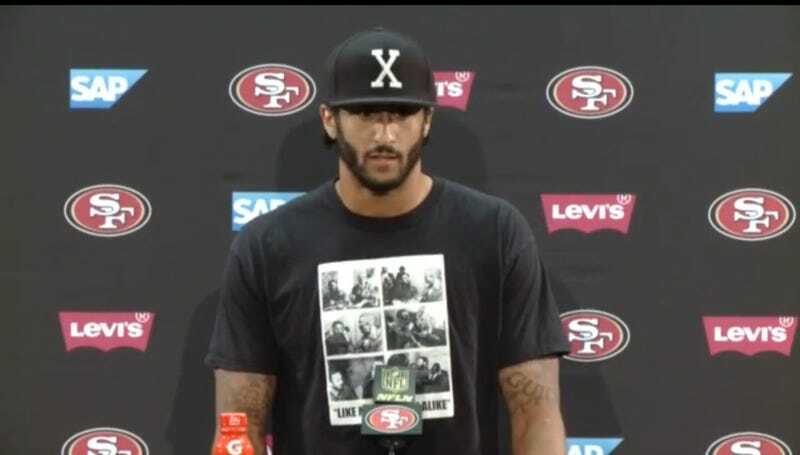 San Francisco 49er Colin Kaepernick is taking a stand against the country he says is still oppressing black people. Kaepernick is refusing to stand during the national anthem. Kaepernick’s social media profiles aren’t typical of a lot of NFL players. He uses both his Twitter and Instagram account to spread news about police brutality and prison reform as well as other issues that are important in the black community, so it’s not shocking that he’s taking this stance against the anthem. But of course we all know that there will be those patriotic people out there who will find Kaepernick's stand offensive and demeaning to the country. But guess what? He doesn’t care.